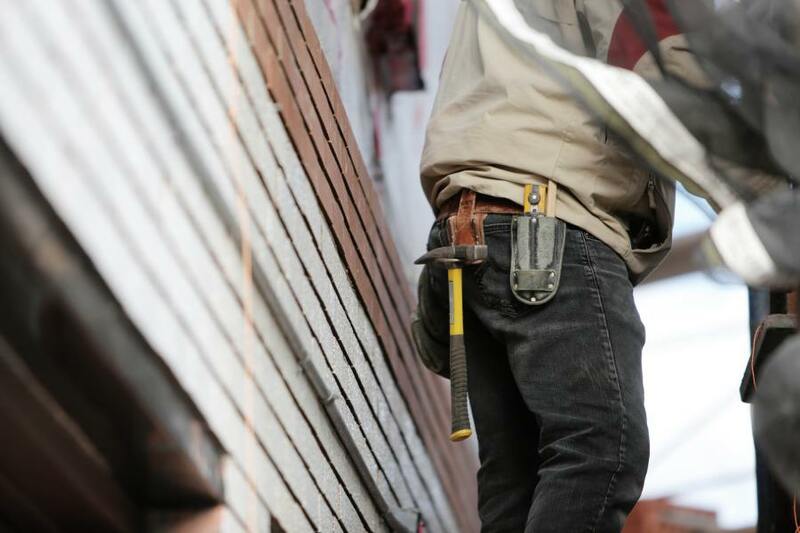 While finding the best man for the job should be your number one priority, it’s only natural that price is going to play a big factor in who you pick as your contractor. After all, contractors on average take up 30% of your overall budget. Making savings here can make a big impact on your bank balance. However, what’s the real cost of these super cheap quotes? What’s the easiest way of creating a cheap quote? Easy, just leave some costs out! This is a risk homeowners face if they’re managing the tendering process themselves, rather than using a project manager or contract administrator. The reason this can create problematic quotes is unless you’re truly rigorous in your contract, and ensure each considered contractor is pricing every element of your project, you risk having one company pricing for one type of job, and the other a smaller project. So while contractor A might seem far more expensive, their quote factors in groundworks, drainage, and finishings. Whereas contractor B, that irresistibly cheap quote, plans to add those prices in at later date, no doubt giving your budget quite the shock. Another concern for homeowners choosing a cheap quote should be whether or not their designs are being properly adhered to. A quote significantly cheaper than the competition could be a sign certain design elements haven’t been properly factored into construction. This means, when it comes to the big reveal, you end up with home you didn’t bargain for. To avoid this mess, make sure your architect is part of the tendering process. They’ll be able to work with potential contractors to make sure plans are fully accounted for. Want to take this a step further? Get a project manager to look after your payment plan, and only release funds once certain construction milestones have been met, and assessed by your project manager. This means step by step, you can ensure you’re getting the right design. Construction isn’t a one man job, and part of your quote will be reflecting the cost of having a team of people taking on the work. Where you need to be careful is subcontractors, such as groundworkers. Is your contractor including their costs in the price? If not, that cheap quote isn’t the full picture. Another concern should be whether or not the contractor has enough people for the job. Using a small team might keep prices low, but it also causes delays, and can result in poor craftsmanship. One way contractors can keep their costs low is if they take on several projects at the same time. This isn’t a great option for the homeowners. With their attention divided, your project comes under risk. Deadlines are missed. You might even find your money, if paid up front, being used to plug finance holes in another project. Speaking of bad finance practices, going bust is a common pitfall of using so called cowboy builders. These companies lure you in with cheap prices, why? Because they’re trying to get as much money as possible, before their coffitors run dry and they have to declare themselves bankrupt. You see, even though a contractor declares bankruptcy, they can simply change the name of their company and place another director at the helm, making it look like a brand new, debt-free practise. This is why homeowners need to be careful in which quote they pick, and the contract they sign. At Resi, we run a complimentary Connect service for all our customers. If you choose to use Resi for your building regulations package, during your journey we’ll introduce to the best contractors in your area. Not only this, as you review their quotes, we’ll be on hand to advise on things to look out for, and pull up any warnings signs. Keeping you safe. Want to go one step further? Get a project manager on board. They’ll not only put together your tender documents, ensuring every element of your project is quoted for, but will help with interviews, and even make site visits to ensure everything is running smoothly. Want to know more about protecting your home and finances with Resi? Book a free consultation with our team of experts.